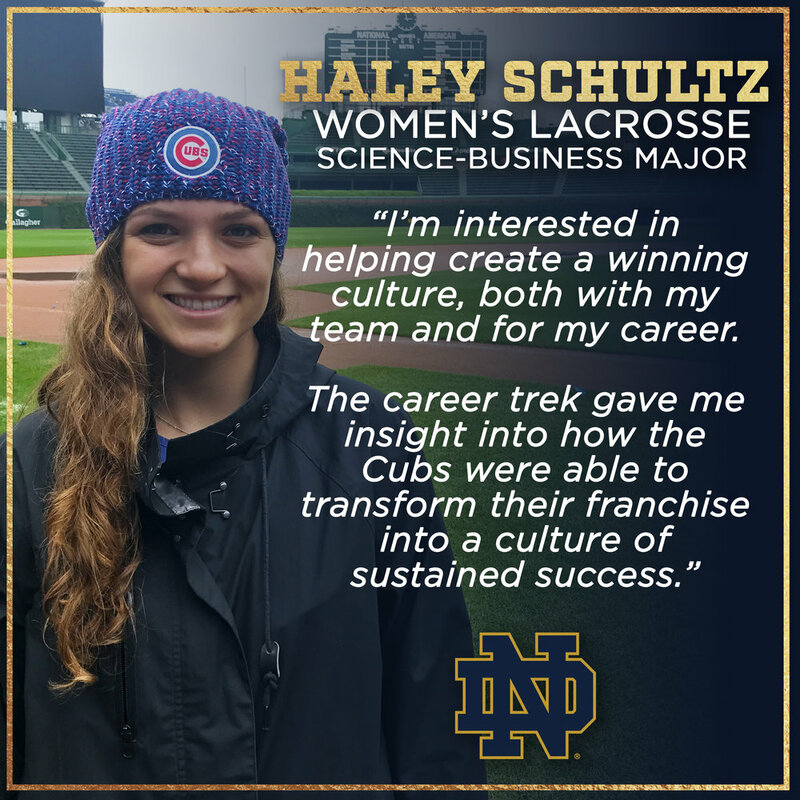 Tailored resources, opportunities, and guidance prepare student-athletes to transition to professional life after Notre Dame. This is made possible through the collaborative effort of SWD, The Career Center, and The Monogram Club. 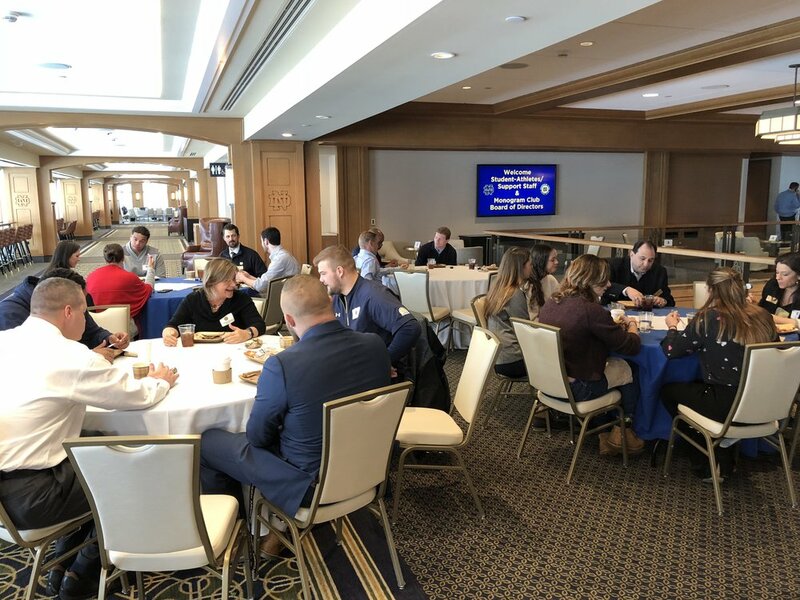 These departments support student-athletes as they engage in the career development process. Take charge of your career today--start below. Now that you know where you are in your career process, here are resources you can use to navigate your success! "The summer career trek was a great way to experience many different aspects of a company in just one day. It was good to hear that they need to hire students from all majors and the best part was the opportunity to speak to alumni working there!" "Originally, I had always been worried about constructing a resume. Working with Dee Dee and the Career Center not only made the process simple, but it also helped me create a strong resume. Now, I'm proud of my resume and look forward to sending it to potential employers."